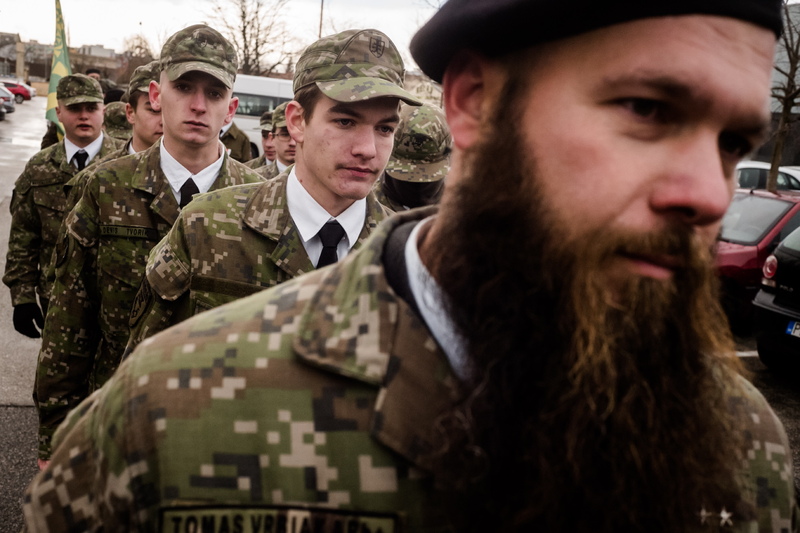 For at least seven years, an unofficial but yet uniformed paramilitary group is has been recruiting young men around Slovakia. 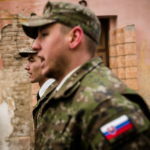 To protect Slovakia, to help “civilians” at times of catastrophes or to teach children. All of this in using narratives that haved been changinged during over the years, from far-right to pro-Russian. And with interesting people who support thes organization. 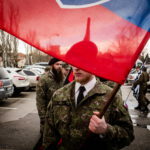 The organization called Slovenskí Branci (SB) celebrated their 7th anniversary in January, but its history is actually quite rich – it started as unregistered, unofficial group, since the beginning was closely related to another far-right organization – Slovenské Hnutie Obrody. 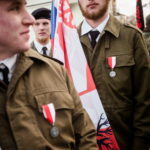 Slovenskí Branci were also seen in 2012 at the memorial service for Jozef Tiso, the president of a Slovak clero-fascist regime. 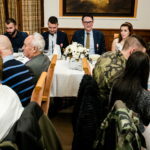 Later, the leader of the organization Peter Švrček distanced Branci from this event and agreed that it was a mistake. On the other hand, he said for the media that he would not share his personal opinion. Another controversy has been aroused by the very logo of this paramilitary organization. 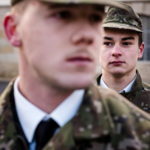 It is very similar to that of the Nazi youth organization Hitlerjugend. 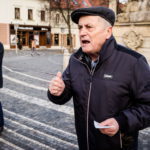 In reaction, Slovenskí Branci told the media they were distancing themselves from “the sick ideals of Nazism and fascism”. 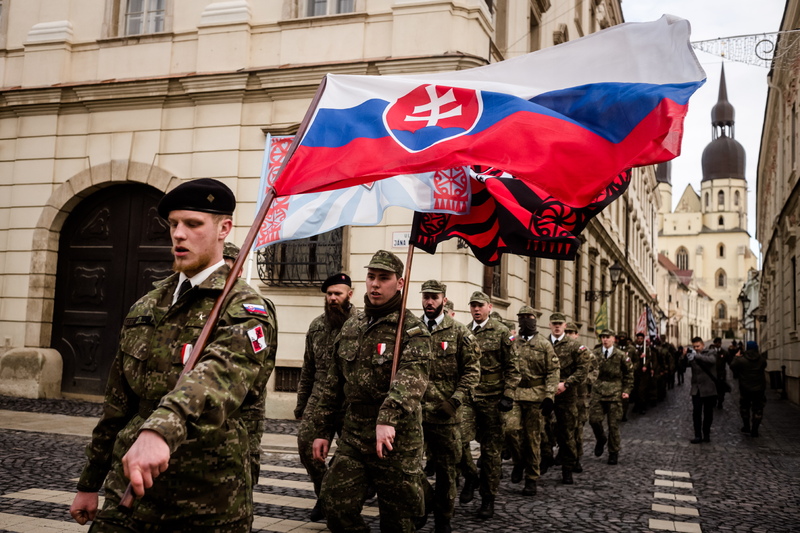 When the paramilitary organization was being formed, the leader of Slovenskí Branci underwent training with a Russian militia Narodny Sobor. 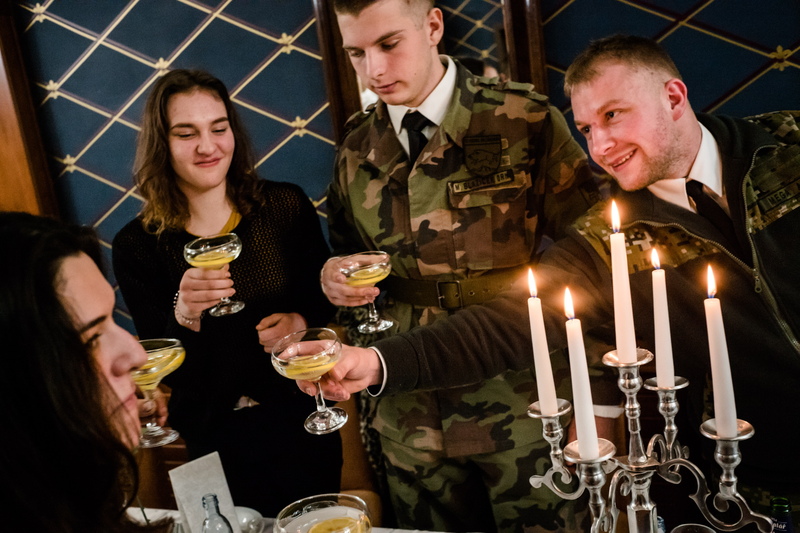 During his three-week stay in Russia, Švrček was trained by ex-Specnz soldiers and he quickly started to pass his experience to other members of the group. After his return, some of the members had a problem with the direction in which the organization was going. 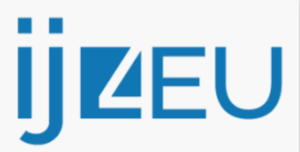 As a result, many members quit. The main reason why they left was how the leaders practiced the organization’s rule of no politics inside. 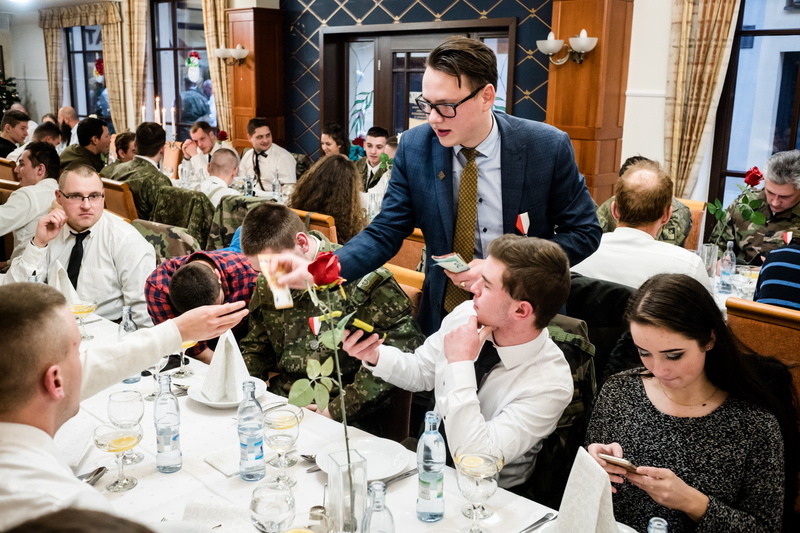 Even though there was no direct political agitation, anti-NATO and “Slavic union” ideas are very strong, at least among the leadership. 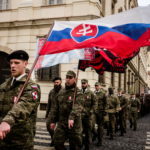 The speech of Ján Čarnogurský (leader of a Slovak-Russian Society) at their annual celebration march is a very fresh proof that the organization is not very serious about the ‘no politics’ rule. His view on which side SB would fight on in a real war was clear – they would be on the side of the Russian Federation. 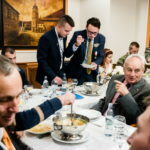 In the recent years, we can see that the ranks of Slovenskí Branci supporters include mainly people who are politically oriented towards the East. Besides Čarnogurský, those worth mentioning include a leader of the Russian biker gang Night Wolves – Europe, Jozef Hambálek. Members of SB have also undergone training involving an armoured personnel carrier at Night Wolves’ Slovakian headquarters. 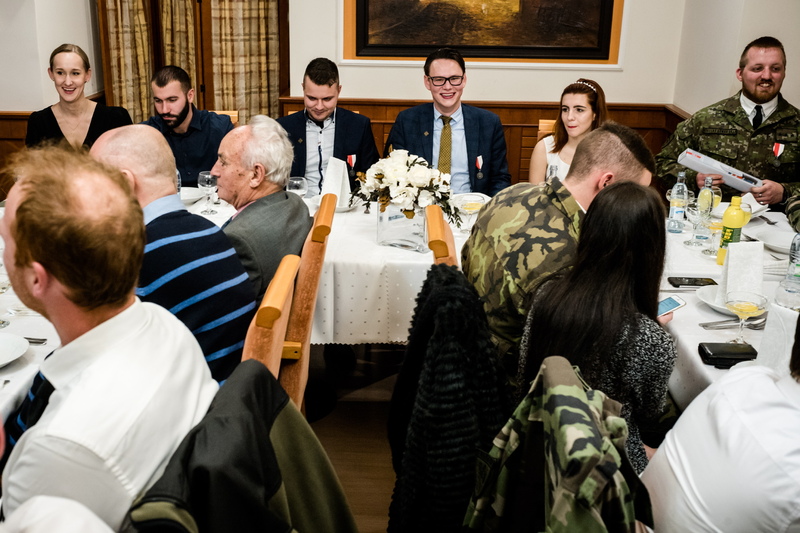 Švrček was invited to the opening party of the headquarters, together with representatives of the Russian embassy. 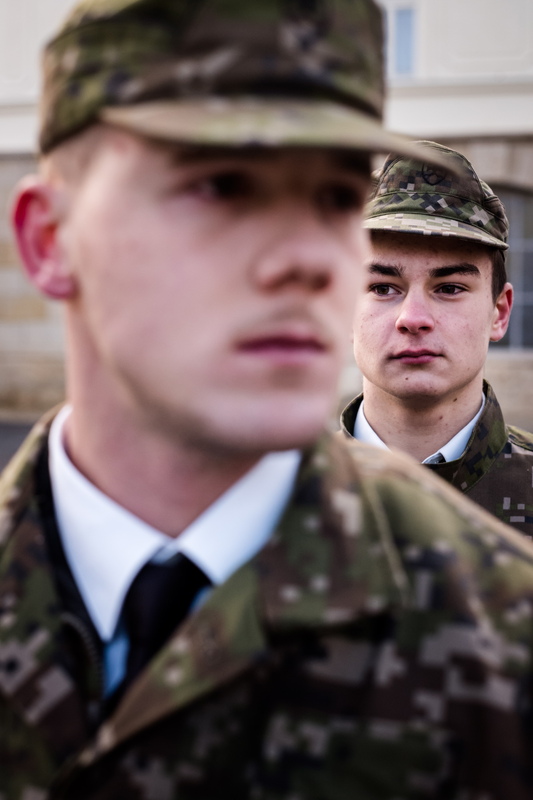 Some members of Slovenskí Branci guarded an asylum seeker camp in Slovakia during the refugee crisis in Europe in 2015. The whole act with self-appointing themselves as guardians was more PR for the SB than a real job, as the asylum seekers were free to move and did not have to stay inside the camp. 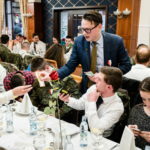 Just shortly before, they pulled another publicity stunt when they were allowed to teach children in a school near Nitra about guns, grenades, first aid and the history of Slavic countries. In reaction, the ministry of education recommended that principals should not let Slovenskí Branci do this again. 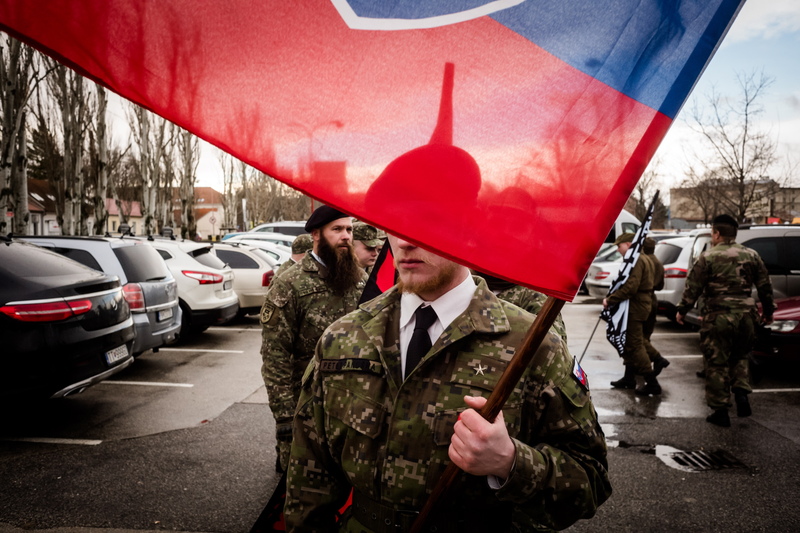 SB ex-member Martin Keprta was in Donbass during the war in Ukraine. 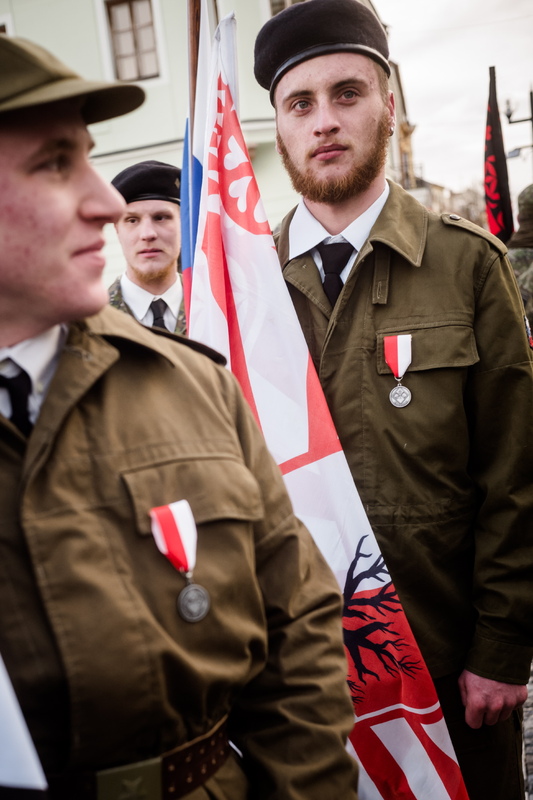 Keprta joined the pro-Russian resistance and fought on their side. He is now living in east Ukraine. SB once again distanced themselves from Keprta and told the media that Keprta had left the organization a few months before he left for Ukraine. 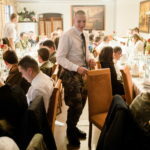 The organization and operations of Slovenskí Branci are very similar to those of a regular army. They have created an internal hierarchy with defined ranks, they group their members into units, or divisions, the number of which has now reached seventeen. 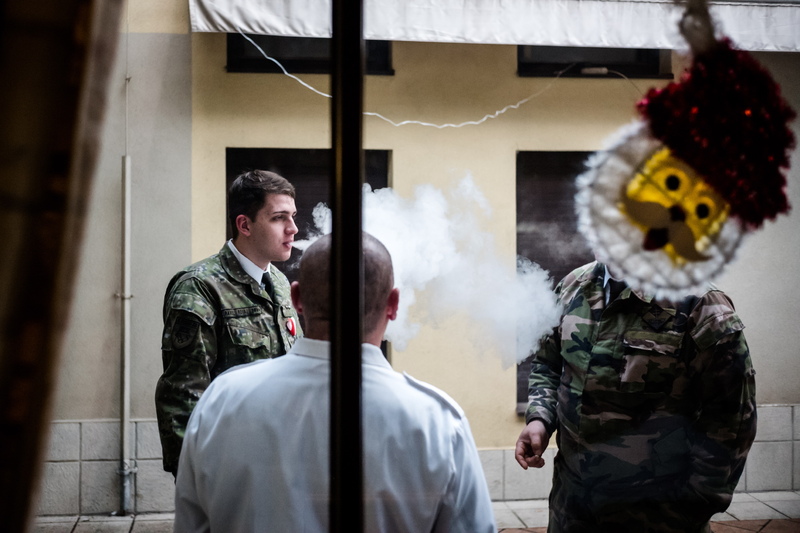 Members are recruited regularly and undergo training which is inspired by Slovak armed forces. Recruits are trained in survival, combat tactics, guerilla warfare, use of weapons, first aid, topography and even basic CBRN (chemical, biological, radiological and nuclear defense) operations. 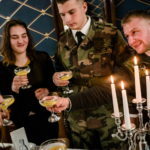 The main focus of their recruitment are young teenagers, often fans of militaria or military-like sports such as air soft guns or paintball. 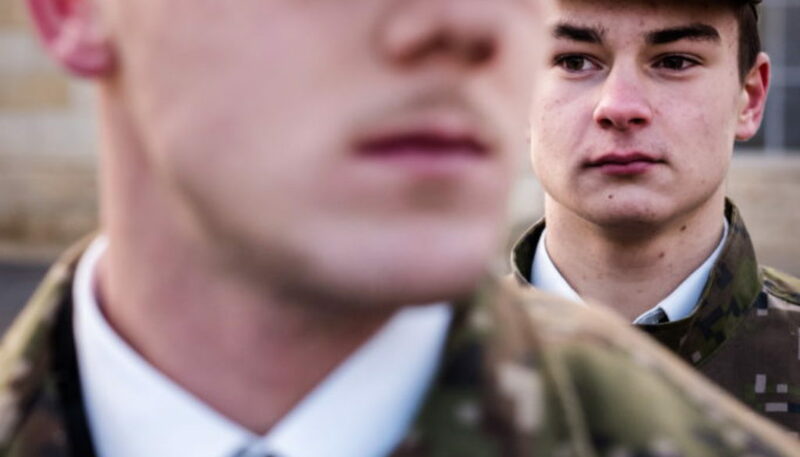 Teenagers are very vulnerable to sneaky and slowly accumulating propaganda, as well as peer pressure that is present between members. 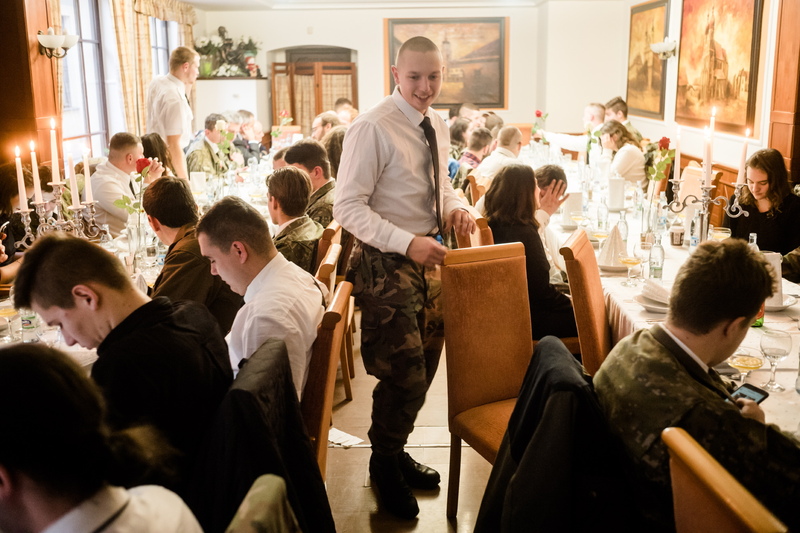 Filip, a young member of SB could serve as an example. His activity on Facebook has been uncovered by bloger Ján Benčík. Filip shares quotes from Jozef Tiso, the clero-fascist president of Slovakia. On the other hand, he is an admirer of Putin and Russian army. He follows anti-refugee and anti-Muslim propaganda and is an admirer of the far-right party Kotleba. 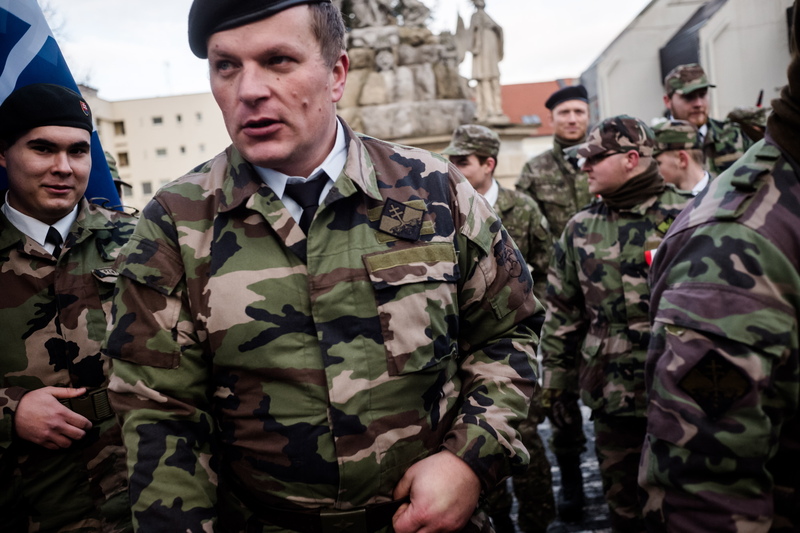 In Slovenskí Branci, members are encouraged to wear military clothing and apparel. 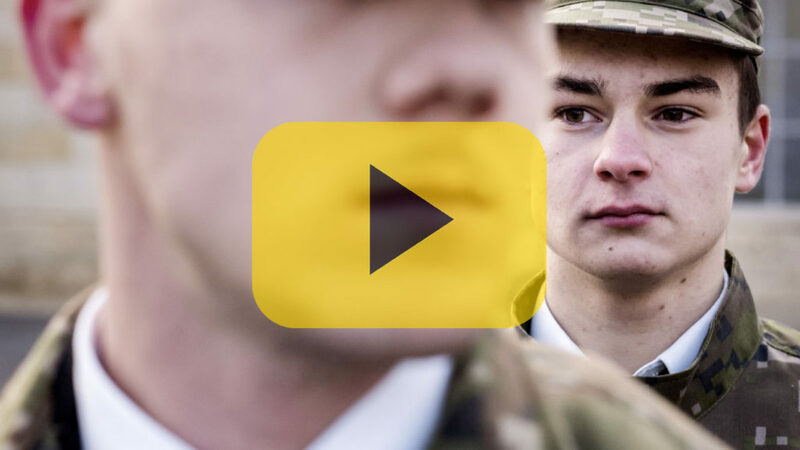 Members are often mistaken for regular army personnel during their events, which include exercises and ceremonies. 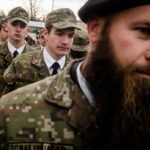 As can be seen from many of their photos on social networks, their look is almost indistinguishable from army soldiers for a layman. 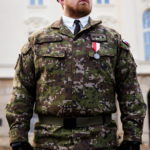 During 2019, the Ministry of Defense has pushed new law into national council that will ban wearing such similar uniforms. Apart from uniforms, members can be seen with air soft guns or expansion guns, which cannot shoot live ammunition, but some SB members do own and train with real guns. Even though SB claim on their website that live ammunition shooting exercises are not part of the training process in the organization at large, such exercises can be organized by individual unit commanders. 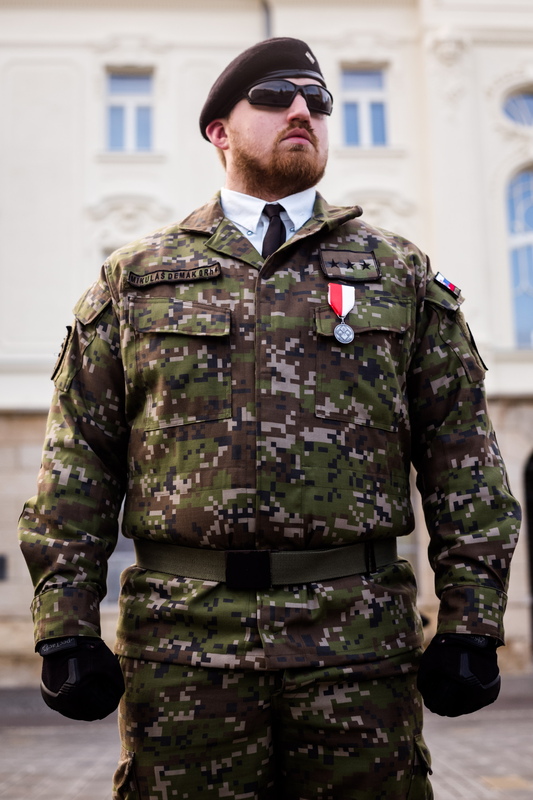 One of the commanders and second in command, Michal Feling, is a member of Slovak armed forces. 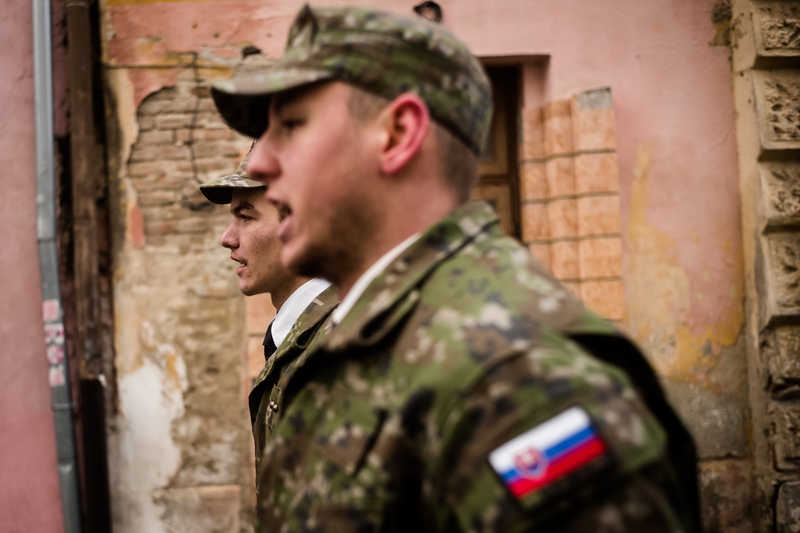 Alongside with him, there were also other Slovak soldiers in the SB organization. 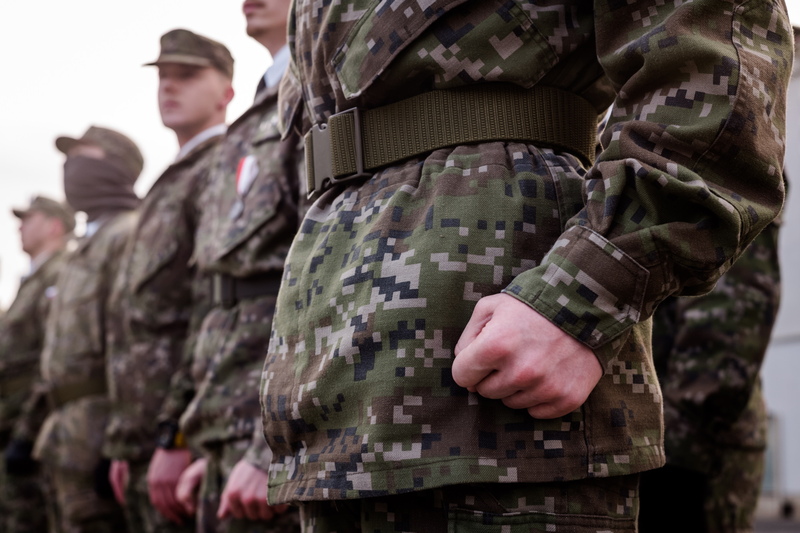 In 2018, the Minister of Defense Peter Gajdos started an initiative to ban active personnel from getting into organizations like Slovenskí Branci. He even filed a motion to the General Attorney’s office about the SB organization itself. For those of army personnel who are politically oriented towards the east, these steps were considered as hostile against own country. 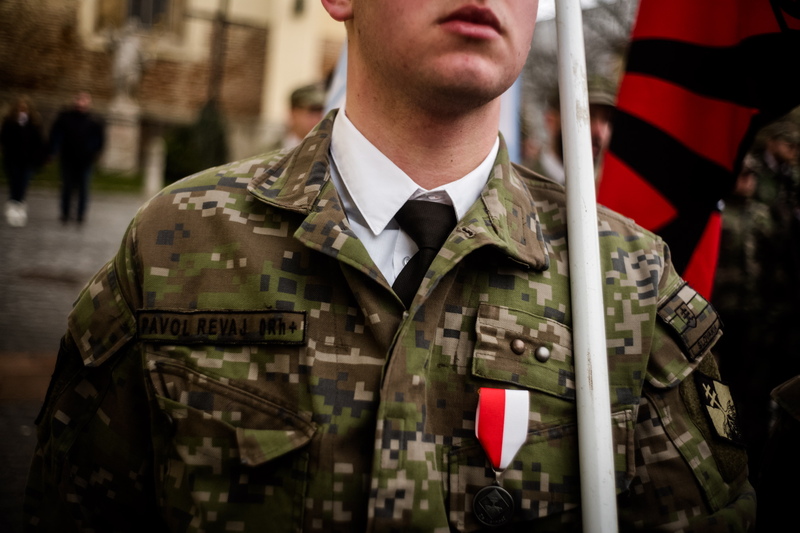 Even though Gajdos stated that active duty soldiers cannot be members of Slovenskí Branci, Feling is still a member of both groups. He was even signed under an invitation to SB’s ceremonial march on 5 January this year, even though he did not attend personally. 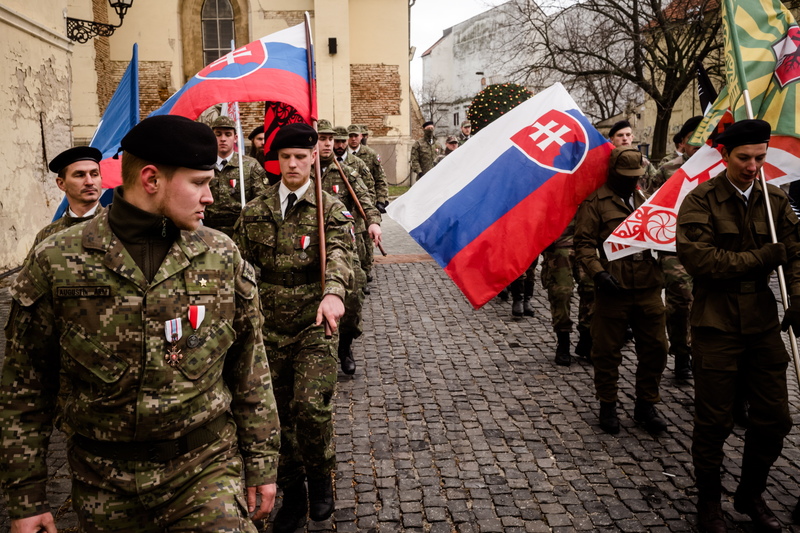 To celebrate their seventh anniversary, Slovenskí branci marched through the streets of Trnava, Slovakia. 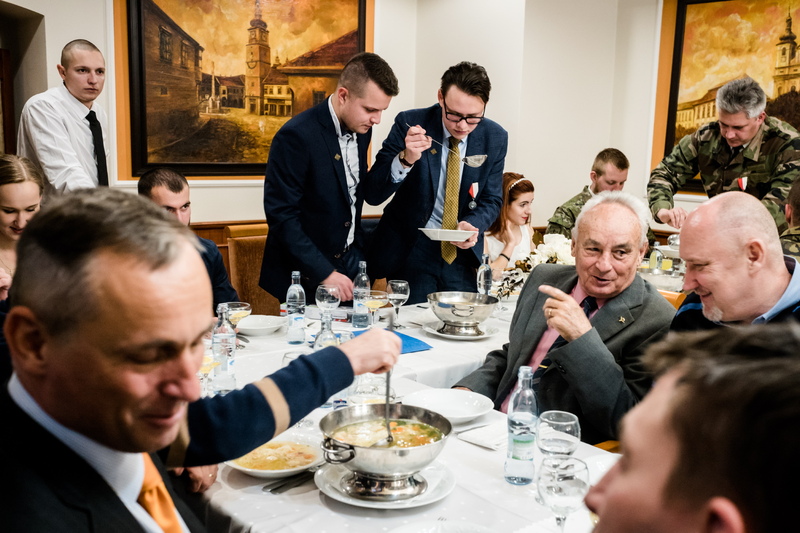 They were accompanied by Ján Čarnogurský, a former prime minister of Slovakia and his son, a prominent lawyer and businessman. A group of 50 men in military-like uniforms are waiting in a parking lot, awaiting instructions. 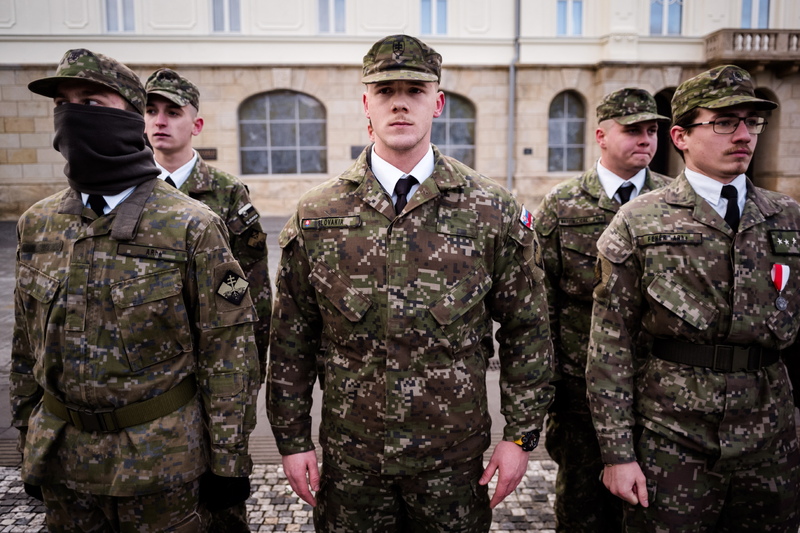 Soon they are about to march together into the historical center of the town of Trnava, Slovakia, to celebrate the 7th anniversary of their paramilitary group called Slovenskí Branci in the main square. At first, when Branci spot reporters, they make ironic remarks. We hear words like ‘paparazzi’ and see smiles that do not seem very welcoming. But it does not take a lot to change that. Once they hear our names and English spoken by one of vSquare reporters, they cut the mockery and become open for discussion. One of the participants minds a reporter speaking English, which he calls an ’imperialist pseudo-language’. At first, after they ‘deploy’, everyone seems fresh and enthusiastic. ’Left, left’ shouts the leader loudly during the march. The march ends at the square, where they all stand at attention, listening carefully to their leaders and supporters. The first speaker is the ‘Commander in Chief’ Peter Švrček. When he addresses the audience, his voice suddenly changes from cheerful to very loud. 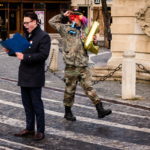 During his speech, a clown dressed in a uniform enters the parade. Marching and sounding squeaky toys, he mocks men who, without any military connection, spend their weekend afternoon marching and listening to a commander. 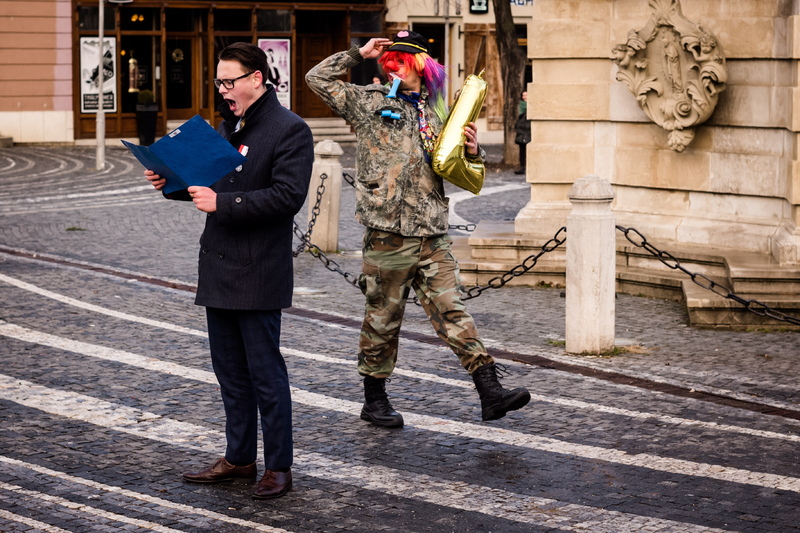 After a few minutes and a few military salutes by the clown, Švrček calls for police action, to deal with the ‘intruder’. Police take the clown aside to talk to him. Whether Branci do operate legally is, however, in dispute. Even though they organize military-like exercises with gun and rifle shooting, they are not registered as an organization. 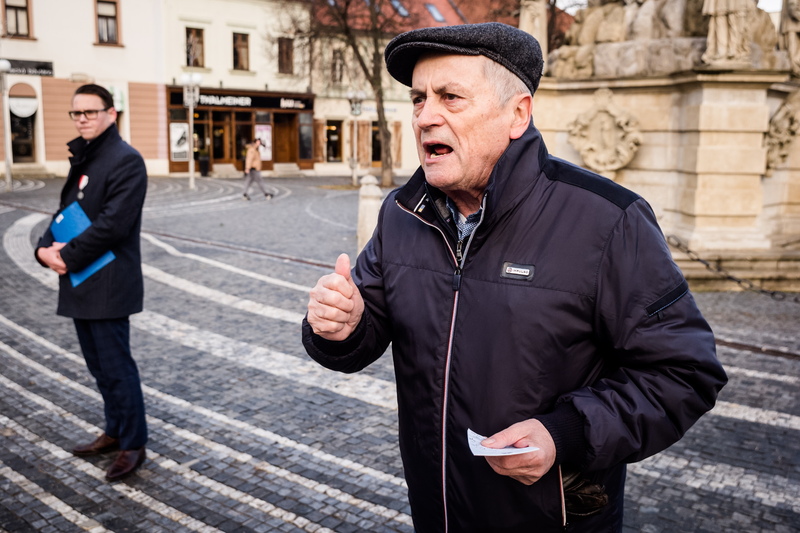 Applications for public gathering permits are usually filed by Švrček as a physical person. Slovenskí Branci are also linked to the Night Wolves, a pro-Putin biker gang that stirs controversy even in Slovakia. 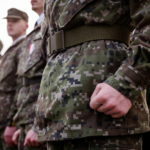 Also, the Slovak Minister of Defense filed a motion in July to inspect the legality of Branci’s activities. The reason was simple: ‘military-like training and preparing citizens with unclear goals, as well as possible abuse of military technology’. The second speaker of the afternoon was Ján Čarnogurský. A former dissident, prime minister and long-term leader of the Slovak Christian Democratic Party. Despite his high esteem in the past, almost forgotten now, today he stands out for different reasons. Some of them being strongly pro-Russian views, protesting against NATO and an initiative for a monument for Soviet army leader marshal Konev. The general was responsible for the bloody suppression of an anti-communist uprising in Hungary. According to some historians, the number of casualties might be as high as hundreds of thousands. Today, Čarnogurský’s activities are mostly reported by an alternative-conspiracy-theory media website hlavnespravy.sk. The former prime minister says that he would welcome such an organization during his administration. 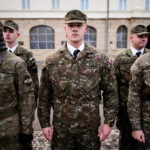 Branci being without any connections to the government structures and Čarnogurský says minister of defense is at fault. 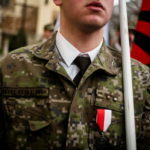 He, however, raises no question of branci’s members joining legitimate and lawful armed forces. The afternoon celebrations end in a hotel restaurant booked for the event. They allow reporters to be present at the official part of the celebration. Here, we can see Ján Čarnogurský’s son, Ján Čarnogurský junior. He is a wealthy businessman and a prominent lawyer. The leaders thank the Čarnogurský family for their support, and have another round of short speeches. 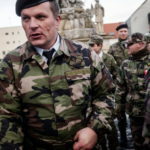 Again, commander Švrček speaks the most. In his speeches, he mentions ‘non-standard solutions’ that need to be taken in relation to ’government attacks‘ on Branci. No explanation is given as to what those might be. ’Truth has always revealed itself, and I believe we stand on the side of victory, for we stand on the side of truth’ adds Švrček. He does not clarify what the other side might be, and why it should lose.